At San Gabriel Capital our clients enjoy knowing they have a customized wealth management plan designed to integrate and enhance every aspect of their financial lives. 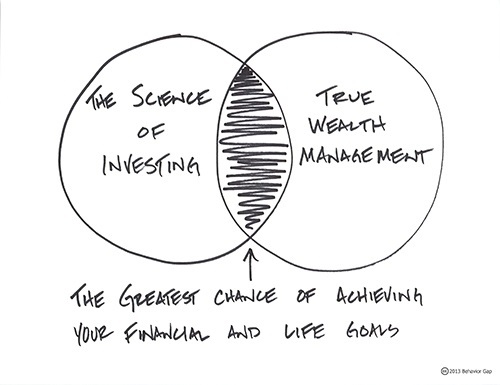 It's what we mean when we talk about True Wealth Management: a holistic, all-encompassing approach that goes well beyond just investment advice and incorporates all facets of our client’s financial lives. By understanding and aligning the critical components of financial health, investors and their families substantially improve the odds of reaching their most important goals. We advise our clients to invest in ways that enable broad diversification, low costs and appropriate levels of risk. Years of peer-reviewed research demonstrate this to be the most effective way to capture the best returns the markets provide. Our unique approach is one that prizes evidence over emotion and values academic research over and above the wildly fluctuating opinions that dominate the financial news cycles. Join us at San Gabriel Capital and let’s discuss your future security.